I’d have little “neat” piles on the counter or table of mail that we’d need to file or send or something. Well, not anymore! I got to work figuring out what to do on that sad little wall. 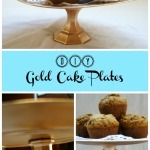 I’ve been kind of obsessed with chalkboard lately (and gold, obviously!) so I went with the traditional black chalk and painted a few coats of that on the wall. Now, for the organizational part! First things first; sanding this bad boy down and cleaning it up. It still had shards of glass around the 2 windowless edges that I had to carefully chisel out. The other 2 pieces of glass were a mess. Aaaaand the sanding. It. took. forever. This window is seriously OLD, and still had plaster or something all over the front of it that was impossible to sand off. The wood was splitting terribly. Finally, after at least 2 hours of sanding and my arm ready to fall off, I decided it was time to borrow an electric sander. I’m thinking it also might be time to invest in one! I finally got it all sanded down and ready to paint. I was going to paint the window frame white, but thought some color would be more fun. And since I will probably be the primary user of this command center, I wanted a girly one! I went with Folk Art Chalk Paint in Vintage Mustard. I kind of love this paint, it’s the third project I’ve used it in recently! I gave it a good sanding once again to distress it after it was all dried. Now time to add the fun organizational pieces. I’m weird when it comes to my calendars. I like being able to look months ahead and schedule things early. So, I didn’t want a dry erase one. I opted for just a boring paper one that I can plan ahead on. I also knew I would need a menu board. I’ve been telling myself I’ll menu plan for months, and still haven’t. I’m hoping that having a place to write out our meals will help? We shall see! With one of the glass panes, I wanted to turn it into a “list” board for groceries and other things. I glued scrapbook paper to the back of the window to make it look pretty. 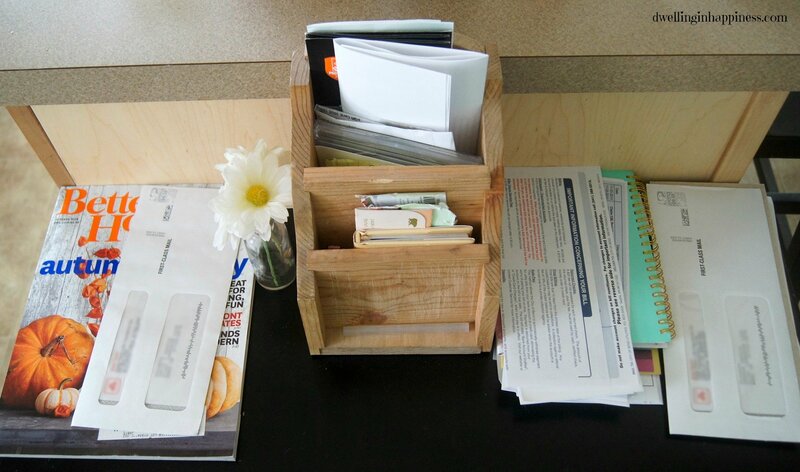 Lastly, we needed somewhere to sort all that ridiculous mail that piles up, so we came up with little mail sorters. But, wait until you hear how we made them! All we used was a shoe box! I cut it in half, and then David measured and cut across the corners. I added some pretty paper, washi tape, and a label. I just hot glued the bottoms and sides inside the window frame. SO easy! And, free. Woot woot, that’s what I’m talking about! Does anyone else have a list devoted to just Costco? It’s totally necessary. I glued on little painted chipboard letters for my menu board, and we also used gold hooks for the calendar so I can easily change it out each year. And, one of my favorite parts; my pen holders. Do you recognize where they are from? Yep, you’re right, they are the letter holders in Scrabble! 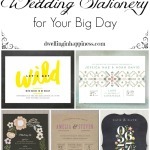 I bought a bunch and used them in our wedding a few years ago. I happened across them the other day and totally thought they’d be perfect to hold pens and chalk. I spray painted them gold. Of course! And the price? Free again. I got this cute little sign from Michael’s on clearance for $2.50. 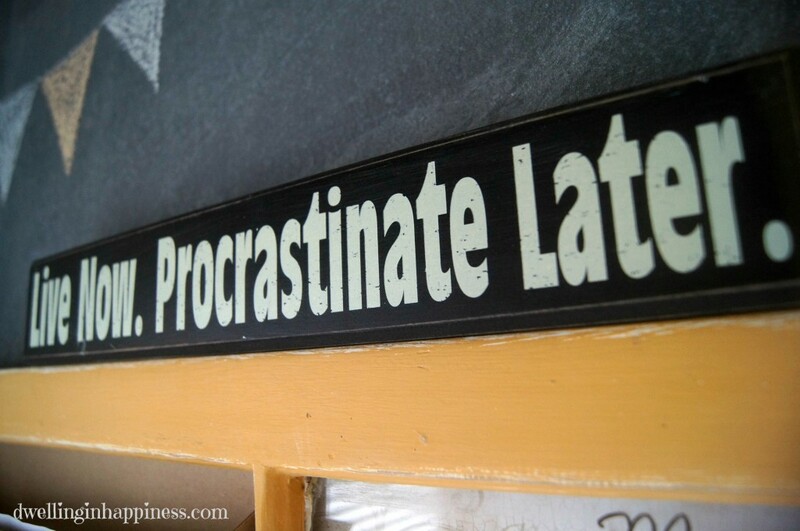 I thought it was so perfect for this spot, since I’m a complete procrastinator. I’m so incredibly happy with how this all turned out. And, David actually likes the gold too! I’m all about functional. Because this is behind our backdoor though, we unfortunately couldn’t put any hooks for baskets or other hanging items. However, I envision as our family grows possibly adding more to the lower portion for the kiddos. And I can totally see Jade sitting on the floor loving all the pictures she can draw with chalk on the wall! Ok, how about one more look at the before and after? Ah, I’m in love! I actually stop and smile every time I walk by. What makes me the most happy is the price tag. I had almost everything on hand with the exception of the paper, calendar, and sign. Cheap = happy mamma! I hope you have a fabulous weekend, friends! Do you have a command center in your home? What elements are important to have in yours? 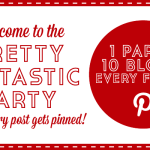 I link up at these fun parties and Get Your DIY On!! I live everything about this. The window, the gold, the chalk board everything! Great job, thanks for the inspiration. This is absolutely gorgeous Amanda!!! LOVE the chalkboard the old window, the pretty details … it’s all PERFECT!!! Love it Amanda! 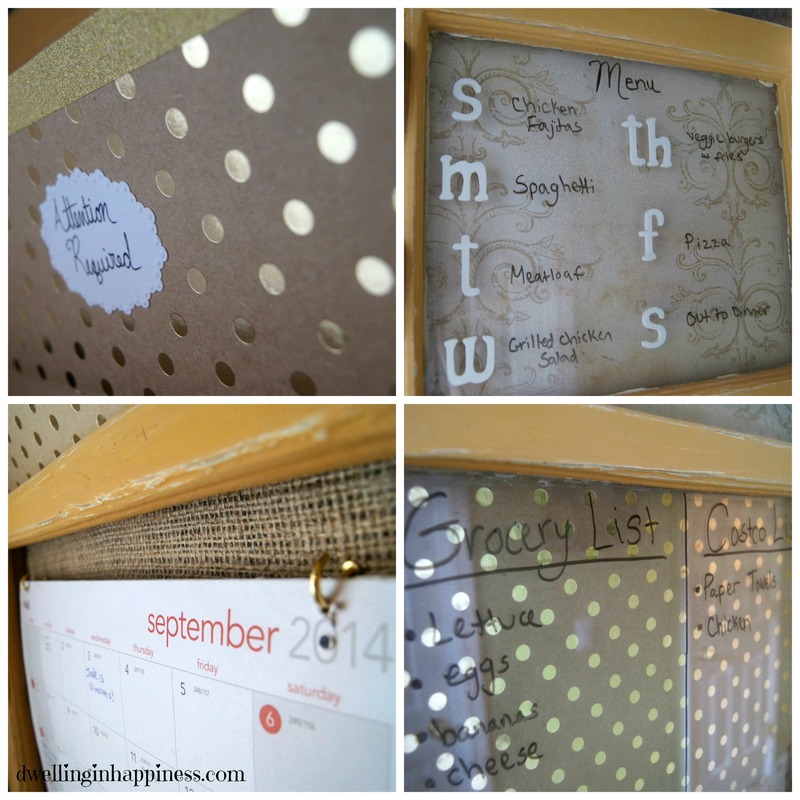 Perfect way to stay organized!! Those letter holders are perfect pen holders 🙂 Great job! it turned out gorgeous!! Love, love, love, love, love, love, love! Love the functionality! I really need to do this soon! I’ve been mulling it over but now I’m excited to get started! Thanks Shelly! I’m all about functional, and this totally fits the bill! You should totally do one, I bet with your talent you could even make your own gorgeous window! 🙂 Happy weekend! Oh my gracious. This is so cute! Using an old window was such a perfect idea! And as a girl who menu plans it’s a great way to keep yourself from getting stuck in a recipe rut. We notice when we don’t menu plan that we get reallllllly sick of pasta after awhile cause it’s the easiest thing to make! 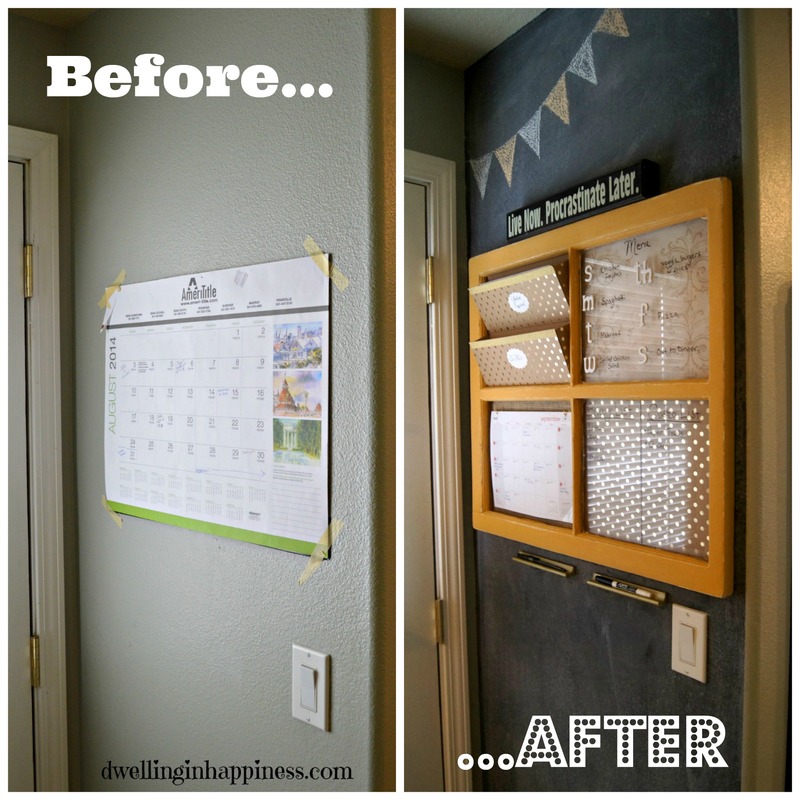 Could you go into more detail about how you adhered the mail sorter boxes to the frame? I’m having a tricky time with the cutting and gluing. Sure, Lori! 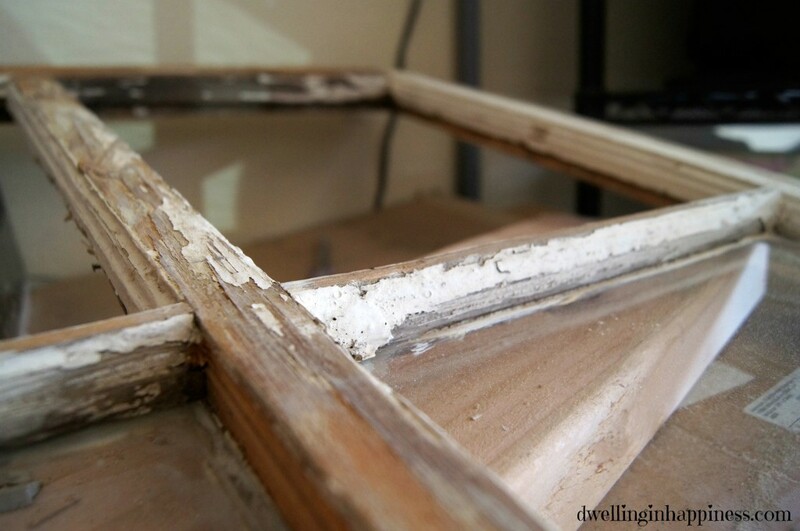 Because that window pane had no glass, I cut cardboard to fit inside snuggly behind the frame. 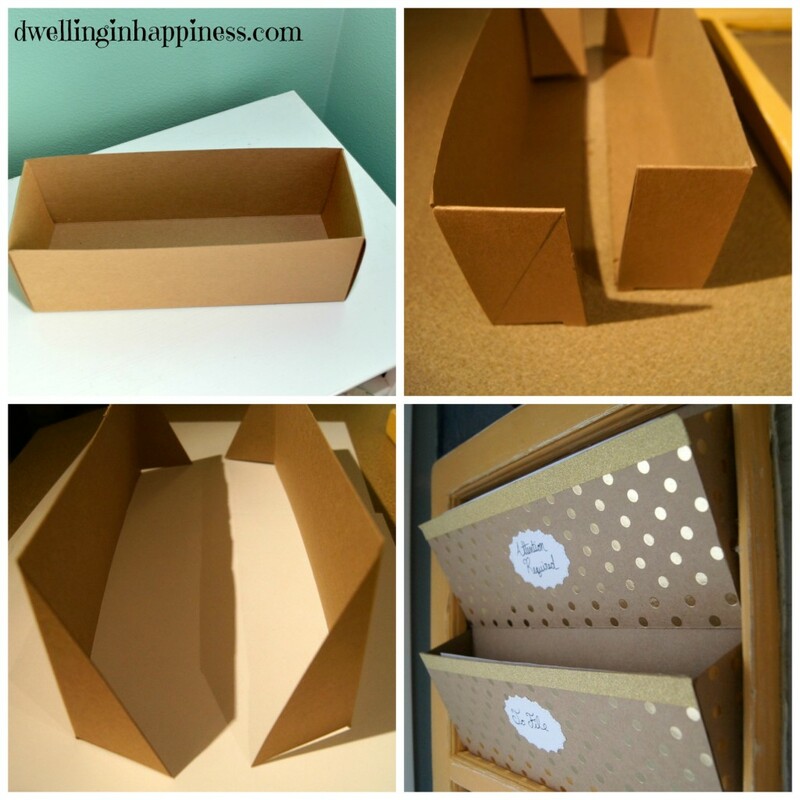 I hot glue that in the back so I could attach the shoebox sorters to the front of that cardboard. For the bottom sorter, I just put a little glue on the outisde of both sides of the shoebox, and quickly just placed it in so the glue would stick to the sides of the frame. Since normally mail would fall out the bottom without some glue, I used the bottom part of the window frame to hold the mail since it can’t go anywhere else! I did the same with the top, but instead I put a line of hot glue on the very bottom of the inside shoebox sorter, which would be touching the cardboard. I quickly pressed and held that to the cardboard where I wanted it. The little line of glue will help keep any mail from falling out the bottom. I then did the same and put a little glue on either side of the shoebox and pushed it into the sides of the window frame. I hope that wasn’t MORE confusing, please let me know if you need more help! I’d love to see a picture of your finished product if you’re doing something similar! 🙂 Good luck! Thanks Antionette! Have a great week! I love how you were able to create a high-end-style command center on the cheap! Great job! Found you at Hit Me With Your Best Shot. Thank you, Kim! You totally don’t have to make one, it’s so easy! Just takes a little time. And sometimes paint. 🙂 So glad you visited, hope you’re having a great week! Amanda the transformation is amazing!! I love how it turned out. I absolutely love old windows too. Nice work incorporating those scrabble letter holders. Nice work!! This is so cute! I definitely need a command center re-do! 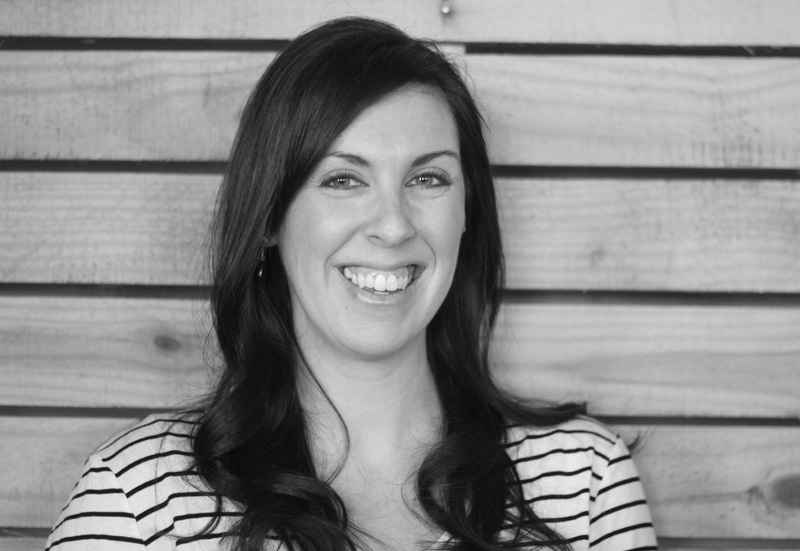 chanelle recently posted…100 Healthy Ways to Detox Your Life! Thanks Chanelle! It was pretty easy to do, and it’s SO nice being organized finally! Have a great rest of your week! Thank you, Melanie! Have a chalkboard wall is awesome, I love it! And it’s so great to be organized, you’ll be so glad you made one! 🙂 Hope you have a great rest of the week! 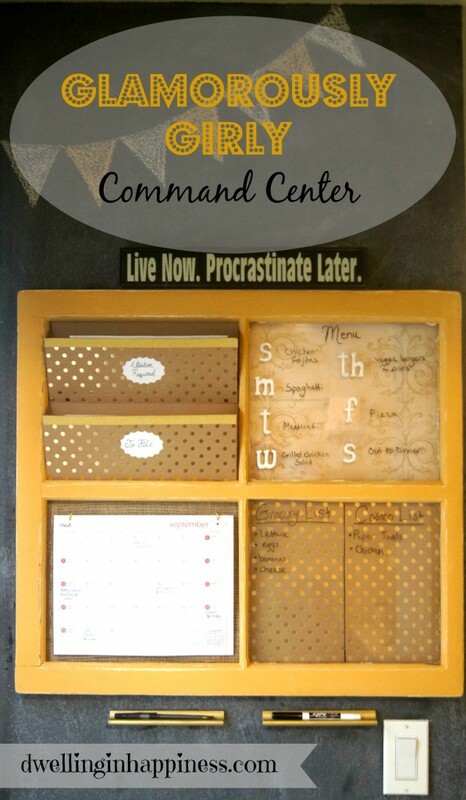 I just love being organized, so I am obsessed with the idea of a command center! Definitely something I need to make soon. 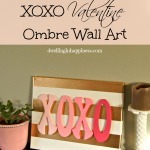 Thanks for sharing this idea at Hump Day Happenings! 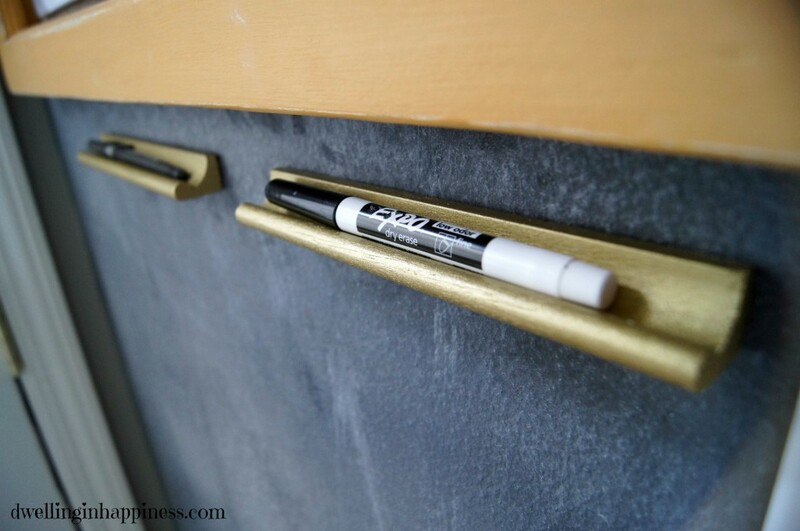 Such a great idea – and love that chalkboard wall! Thank you so much, Rhonda! I love it, too! 🙂 Hope you’re having a great Saturday! I so need one of these…it’s perfect! Has everything I would use 😉 Pinning it! What a great command center!!! Love it 🙂 Pinned! Very cute and functional! I love cheap projects, too. Great job. Thanks for sharing at On Display Thursday! Thank you, Leia! I’m all about cheap and functional, too! They make the best projects. 🙂 Hope you’re having a great week! :Looks lovely as well as functional. I really love the gold dots. This is literally the cutest thing ever! That gold! Ah! The polka dots! Ah! The chalkboard! Ah! I also love that the sign at the top says procrastinate later. So awesome. I love this. I like that the window frame didn’t have to be “rustic.” The yellow against the chalkboard wall makes me happy 🙂 Thanks for sharing at Think and Make Thursday! This is fantastic! 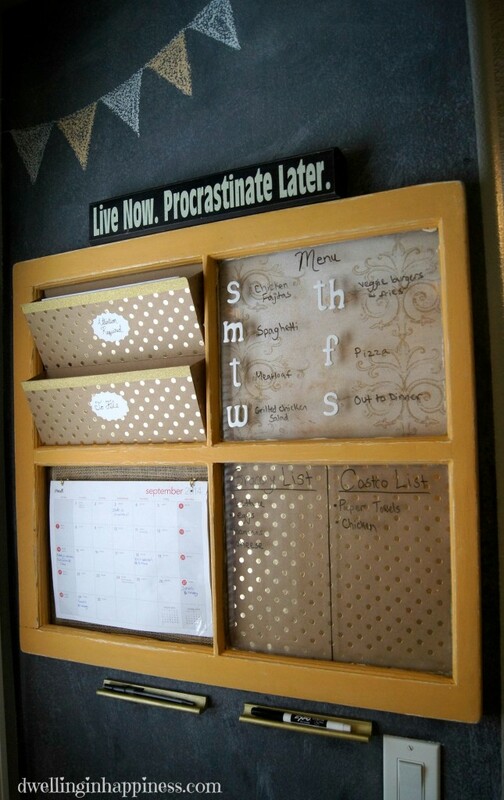 I so need something like this, I too currently have our calendar taped to the pantry door. Would have to adapt something to go on the door but definitely going to make it girly. The girliness is greatly outnumbered in my house with 2 male dogs and 2 male humans and little ole me.Thanks for the great idea! Thank you so much, Renee! Ha, it definitely sounds like you need some major GIRLY in your house!! And, I think a girly command center is totally what you need! 🙂 I so appreciate you taking the time to visit!! 🙂 Have a great week! Another amazing project, which I am totally going to pinch few ideas from! I love how certain sections are wipeable! Aw, thank you Natalie!! The wipeable parts are the BEST! It makes it so much easier to change stuff and erase for the next week. 🙂 Thanks for visiting! Happy weekend! I love being organized, so the idea of a command center makes me ridiculously happy. Yours is super cute and functional. I love the “Live now. Procrastinate Later” sign too! Thanks for joining us for Hump Day Happenings! See you next week. Thanks, Jenna! Me too! Command centers are so awesome, and it feels amazing to be organized. 🙂 Happy weekend! Thank you! I’ll be at the party for sure! Seriously one of my favorite projects! I love it! So clever using scrabble pieces as pen holders – they are perfect! Thanks so much for sharing at Talented Tuesdays! Aw, thank you Amy! The scrabble holders are my favorite part. I even added a few magnets to the back of some extra ones I had and put them on my fridge to hold more white board pens! Multi purpose. 🙂 Thanks for visiting, friend! great idea! you know what I love most? the shoebox letter holders! a stroke of pure genius! those things are so flippin’ expensive to buy! I’ve been looking for an idea just like this one for MY backdoor! 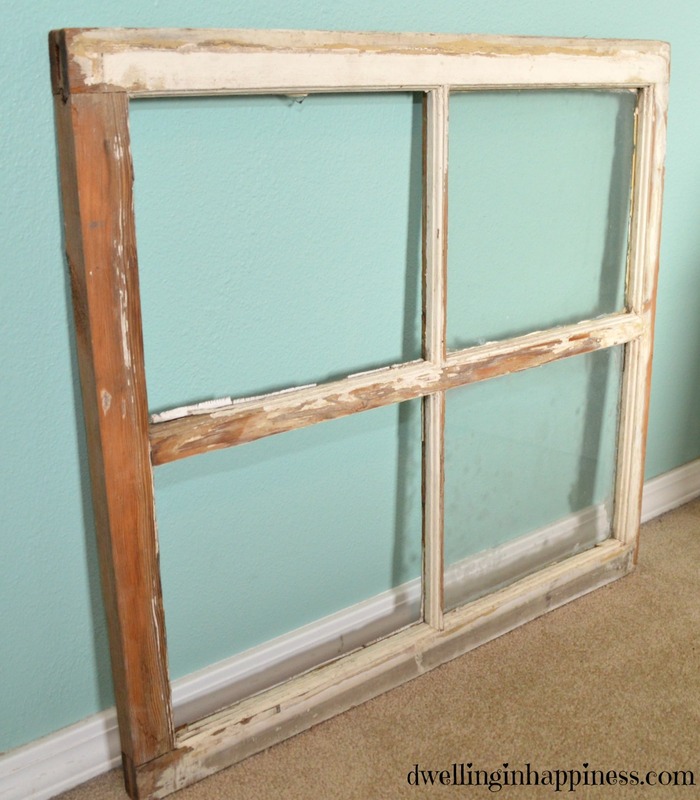 I have many old windows, and I am all over this project! thanx! Thank you so much, Debra! I think that’s my favorite part, too! 🙂 I love easy and cheap hacks that work well! 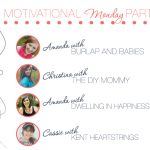 So glad this could inspire you!